Given the choice of an Audi Q5 TDI or Hybrid, we'd plunk down for the less expensive turbodiesel and its higher EPA highway ratings. We've been able to outperform those numbers consistently in other Audi diesels. The 2014 Audi Q5 gets quite serious about fuel economy with TDI power; it's still one of the most elegant, truly carlike luxury crossover SUVs. 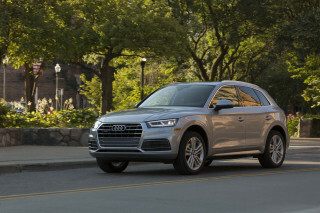 The Audi Q5 leads the pack of compact luxury SUVs, and this year it expands its offerings with a turbodiesel TDI edition that's good for a 31-mpg highway EPA rating. In the Q5, Audi now offers a total of five powertrains, all coupled to standard all-wheel drive. With each one, Audi also equips the Q5 with a paddle-shifted, eight-speed automatic gearbox. With any of them, the Q5 delivers responsive handling and acceleration, despite its tall roof and good ground clearance. 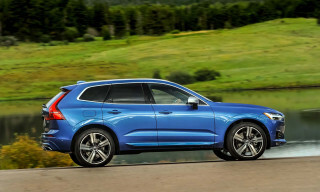 You're forgiven if you look at the Q5 and see a smaller, more tidy Q7. The two share the usual Audi details, but the proportions are quite different. The Q5 is more a compact sport wagon, one with a look that slides easily into a showroom filled with Audi sedans. The same is true for the inside of the Q5. 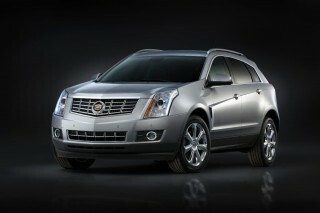 It's a high-water mark for luxury SUVs, with its tight fit and finish and luxurious blend of wood, metal, and leather. Last year's push for higher fuel economy continues for 2014, even as Audi plots a higher-performance model for the Q5. 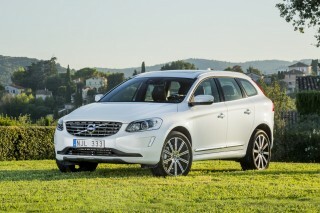 The drivetrains are great, especially the 2.0-liter turbo four. Down some 72 hp, it feels nearly as quick as the supercharged V-6. There are both Hybrid and turbodiesel models available, but the diesel has stronger low-end torque and higher EPA combined-cycle ratings. 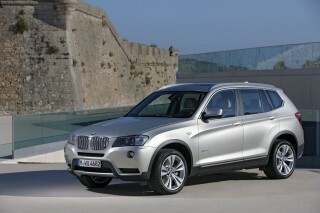 All Q5 crossovers sport all-wheel drive, and an 8-speed, paddle-shifted automatic. The Q5 has a relatively high seating position. Head and leg room in the front seats is ample. The seats are firmly bolstered and fit lots of body types well. The back seat has reasonable leg and knee room, though it's not so wide that three adults will fit across its bench seat. Road noise is an issue, but the Q5 has lovely build quality and a refined, tightly composed look and feel. As a recent IIHS Top Safety Pick, the Q5 has a good crash-test history, but its equipment is less generous. A rearview camera is available, in an expensive package of features. Audi's finally made Bluetooth standard equipment. From a base price just under $40,000, the Q5 comes with standard power features, leather, power front seats, satellite radio, and heated mirrors. The top models can go out the door for $55,000 or more, once they're fitted with features like adaptive cruise control, a rear-seat entertainment system, and in-car wireless internet. Classically handsome, the Audi Q5 doesn't have a line out of place outside, and the cabin is smartly drawn. There's no shouting of &quot;SUV&quot; from the Audi Q5's rooftop. 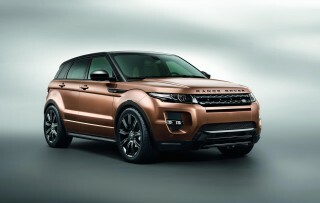 It's a handsome, elegantly spare crossover, without any hint of trendy, momentary appeal. We tend to think of the Q5 as a bigger cousin of the Allroad wagon, than as a smaller counterpart to the Q7 SUV. The Q5 is just a bit more blunt and a bit taller than the Allroad, and with its slimmer headlamps and LED taillamps, the resemblance has never been stronger. There's a similar simplicity at work in the cabin. It's drama-free, and devoid of anything short of lovely materials. Audi does interiors uncommonly well and this is no exception. The center console creates a big divide between the front seats, but it's not a wall. The dash and console, their upright design, actually gives the Q5 a better sense of space. Audi stocks the cockpit with lots of switches and buttons, but it wraps it all in suede and leather and wood, which brings the cabin together in a nicely understated way. The Q5 rides on the firm side; we'd choose the TDI or supercharged six-cylinders for the best economy or performance, respectively. The Audi Q5 is one of the rare crossover vehicles with true multiple personalities--in the best possible sense. With a choice of five engines, all the different Q5s impart their own driving feel, from brightly enthusiastic to sensibly pragmatic. In every case, the Q5's well-sorted suspension responds capably. For the most nimble model, choose the base 2.0-liter turbo-4. It has 220 hp, down versus other gas-powered models, but it weighs less even at its 4,100-pound curb weight. It's plenty assertive in the Q5, with smooth power and not much turbo lag, quick enough to hit 60 mph in 7 seconds and to cruise to a 130-mph top speed. Most buyers will at least look at the 272-hp supercharged V-6. It's a second quicker to 60 mph, but has the same all-wheel-drive system and 8-speed automatic as other models. With more weight on the nose, it's not as deft to steer as the turbo-4 Q5, but this V-6 can blast away traffic inertia and hug exit ramps like a champ, even if the magnitude of difference over the turbo-4 isn't all that great. Audi offers two fuel-conscious Q5s. The turbodiesel has EPA combined ratings of 27 mpg, and twists out 428 lb-ft of torque, which keeps straight-line performance in line with its gas-powered relatives. Tire noise is higher, too, thanks to the extra weight the diesel heaps on the nose. Choose the Hybrid instead, and your turbo-4 gets an electric motor and lithium-ion battery pack as its new besties. With 245 hp net and 354 lb-ft of torque, it can outgun the turbo-4 alone, while it turns in 26 mpg EPA combined. Shortly, we'll have the story on the SQ5, the first Audi crossover ever to earn the S badge. With the high-output supercharged six, the 354-hp SQ5 promises 5.1-second runs to 60 mph and a 155-mph top speed. Stay tuned for more on this version, soon. On all Q5 SUVs, the 8-speed automatic has responsive shift feel and tightly spaced gears, with paddle controls that let you take over the helm. Most versions have all-wheel drive and 8 inches of ground clearance, and the combination gives the Q5 fine all-weather traction. Depending on the engine, some Q5s can tow 4,400 pounds. Especially as a turbo-4, the Q5 has carlike road manners with handling that's more taut than you might expect. It's a blast, pulling out of corners or passing on highways. The steering is predictable and tracks rather well, though it's not laden with feedback. 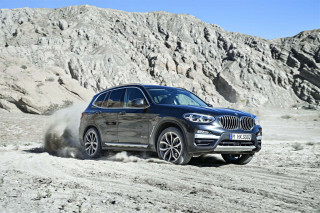 We'd skip Drive Select, which tailors steering, throttle, transmission and stability control from Comfort to Sport modes. The programming choices feel especially algorithmic, not rhythmic, and can make the Q5 feel out of touch with its own senses. We'd spend the money on the fine B&O stereo system instead. Good interior room and supportive seats are complemented by the Q5's fine attention to detail. A small footprint doesn't keep the Q5 from delivering big, useful interior space. The well-packaged interior makes the most of its softly rounded shape, providing four adults with more than enough space and flexibility for themselves and for their cargo. In its bright, nicely finished cabin, the Q5 shows a fine eye for details and interior trims. The fit and finish in test-driven examples has been exemplary. The Q5 exudes refinement, except possibly for some road noise. 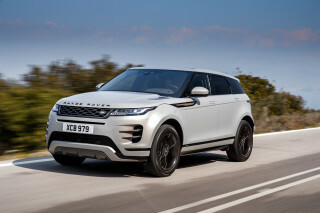 It also delivers a high, commanding seating position for its front two passengers, and seats with firm bolsters and fine adjustment, and an option for heating and ventilation. Most drivers will be able to find a comfortable way to sit, given the power choices and a tilt/telescope steering wheel. A panoramic sunroof cuts into headroom, sure, but gives the cockpit an airy ambience. The Q5's back bench can carry two adults with more leg room than the Allroad wagon, but three adults won't fit across. The rear seat can move to and fro on a track, and its seatbacks have a recline function for better long-distance comfort. They fold almost flat to expand cargo space from around 29 cubic feet to more than 57 cubic feet. Elsewhere inside the Q5, small-item storage covers everything from the deep console to the 1-liter bottle holders molded into the door panels. The Q5 scores well in IIHS tests, but the NHTSA hasn't weighed in yet. With some improvements in equipment, the Q5's safety story gets a little stronger this year, though test results are still only half-present. The Q5 has an option for rear-side airbags and comes standard with all-wheel drive. Audi has finally included Bluetooth on the standard equipment list, while blind-spot monitors are offered almost across the board. You'll spend extra for a rearview camera, thugh. Good outward vision extends from the Q5's driver seat. It has big side-view mirrors, and its rear headrests don't cut too much into the view directly to the back. Still, our scores come down chiefly to crash-test data. The NHTSA says it's a four-star car overall, though it earns a five-star rating for side-impact protection. The IIHS hands it good scores in most categories, though it hasn't been through the new small-overlap test, which means it does not qualify for Top Safety Pick+ status. You'll pay to add Bluetooth to base models, but Audi Connect's lush Google Earth maps are worth the price of admission. The Q5 is priced from under $40,000, but it's very easy to spend more than $50,000 on the hybrid, diesel, and V-6 versions. All Q5s now come with Bluetooth and keyless entry, as well as power features, cruise control, power front seats, satellite radio, leather, and 18-inch wheels. 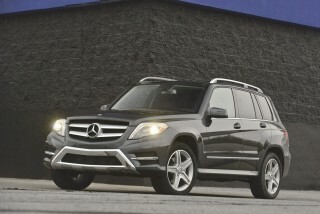 The next trim level up, the Premium Plus package, adds a power tailgate, a panoramic sunroof, and heated front seats. Options on this turbo-4 duo include shift paddles, navigation, a rearview camera, aluminum trim, and rear-seat airbags. Supercharged V-6 cars add 19-inch wheels and all that content. With the Prestige package, the supercharged Q5 adds navigation, blind-spot monitors, adaptive lighting, and a Bang &amp; Olufsen sound system. Adaptive cruise control, Drive Select, and 20-inch wheels are among the options that can drive the price higher than $55,000. Hybrids come in Prestige trim only, with a choice of Comfort or Sport interior, 19- or 20-inch wheels. Q5 TDI models come with Premium Plus trim, and can be outfitted to Prestige trim. Both the 3.0T and TDI versions can be trimmed with an S line plus package, which adds 5-spoke, 20-inch wheels; summer performance tires; and black exterior trim. Audi's Multi Media Interface (MMI) is probably the best of the roller-controller systems, but it still catches us off-guard on occasion. There's no touchscreen access at all, and without the level of voice commands from some other systems, you'll find yourself hunting through menus for some functions, while clicking some of the redundant hard keys arranged around the control knob. Fortunately, the MMI system can be bundled with Audi Connect, the brand's data-connectivity package that delivers Google Earth maps to the GPS. For a monthly fee of under $40, drivers get beautifully flowing and accurate maps, as well as real-time traffic information and local search. They also get connectivity for up to eight devices inside the car, all provided by Audi's 3G link to T-Mobile. Yes, you already pay for that with your smartphone--but does your navigation system look this good? Fuel economy is now a strength for the Q5, with Audi's new hybrid and turbodiesel drivetrains making the grade. Some mainstream crossover SUVs earn better fuel-economy ratings than the 2014 Audi Q5, but among the luxury brands it's among the best five-passenger utes for efficiency. Last year's new Hybrid model began the push for better fuel economy. It's rated at 24/30 mpg, or 26 mpg combined, achieved with Audi's new gas-electric drivetrain. Until this year, those figures were the leaders in luxury crossovers. This year, though, Audi's added its own turbodiesel Q5 TDI to the lineup, and its 24/31-mpg rating (27 mpg combined) is just slightly better. Both trail vehicles like the Chevy Equinox, which earns a 32-mpg highway rating in four-cylinder form, albeit with front-wheel drive versus the Q5's standard all-wheel drive. 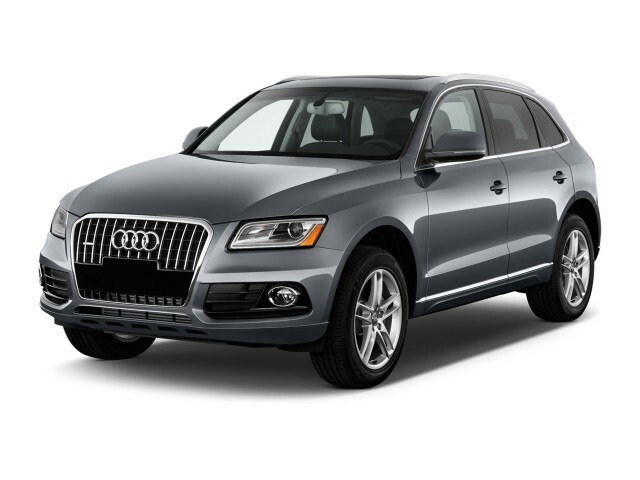 The base Q5 remains the best compromise for value and gas mileage. At 20/28 mpg, or 23 mpg combined, it's competitive in its class--and we've seen solid numbers near the higher end of the combined figure (24 mpg) in a mix of spirited city and highway driving. The V-6 Q5 is at the opposite end of the spectrum, at 18/26 mpg, or 21 mpg combined. Consider the lower fuel economy the cost of its best-in-lineup acceleration. Extremely well designed...supurb handling...diesel averaged 36.5 mpg on 3,800 mile road trip...now I need to find a way to get my wife to swap cars.